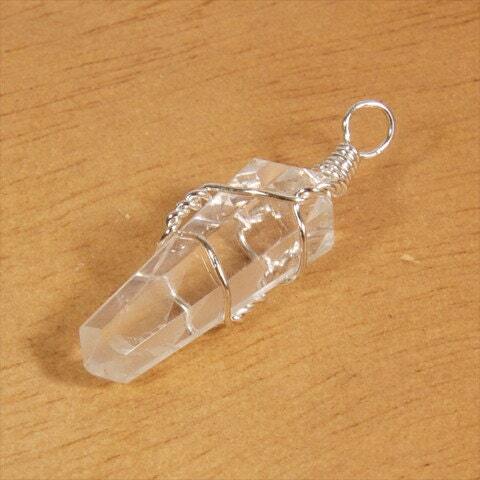 Premium quality Quartz Double Point Crystal Gemstone with wire wrap. 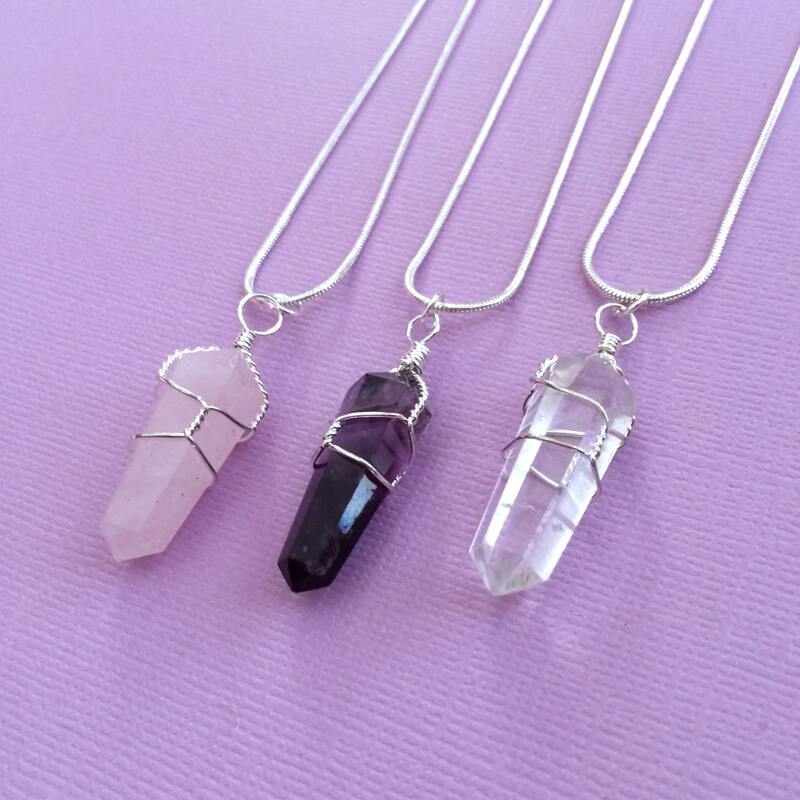 Perfect for those interested in meditation, energy healing, crystal healing,reiki, yoga, wicca, feng shui and psychic development. 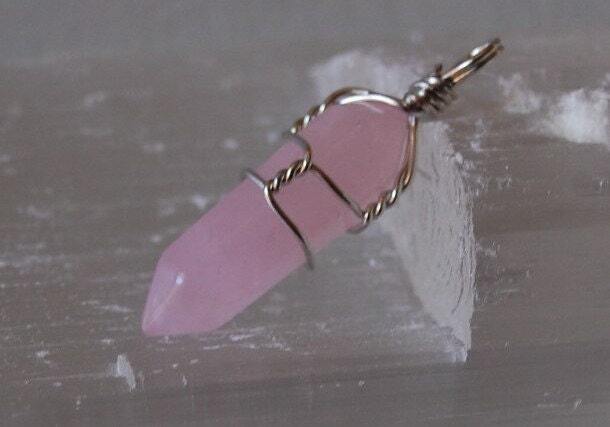 Listing includes 1 rose quartz pendant. The pendulum measures 1"-2" long. Cute, though I'm not a fan of the chain.